Join Seminole County Public Schools as they recruit teachers from all across the state of Florida! Each Seminole County Public School will have a table set up for applicants to visit and interviews will be conducted on-site. Up to 500 applicants are expected to attend. District leaders, Teachers of the Year and students will be assisting and mingling with applicants and vendors. 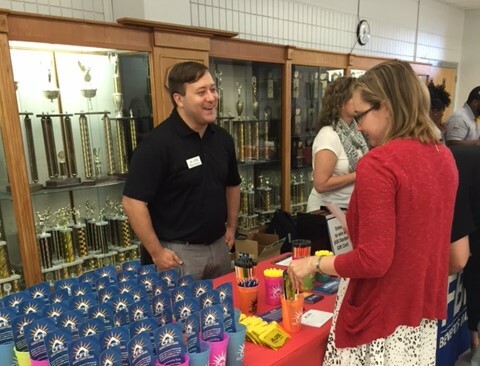 Seminole County Public Schools is looking for business partners to set up vendor booths to offer information and resources to these potential teachers. Many of these applicants will be new to the area so we want show them that Seminole is not only a great place to work, but it’s a community in which you want to live. We hope to showcase all Seminole County has to offer when it comes to shopping, leasing or buying a home, banking, investing, healthcare, entertainment, gyms, fitness clubs, higher education and more. For more information on the event, please call Seminole County Public Schools at 407.320.0148 or e-mail dawn_bontz@scps.k12.fl.us. If you are interested in sponsoring this event, please register here or contact The Foundation’s Executive Director, Jean Van Smith at 407-320-0176 or vansmijz@scps.k12.fl.us.